It may take a couple of days before it’s ready to eat, but it’s well worth the wait. When my parents recall their Soviet childhood one thing they immediately think about is a school canteen with many signature sweets. They were treated to several delicious goodies during breaks between classes: Meringues, cakes, sochniki, waffle tubes with condensed milk, eclairs, and other mouth-watering stuff. But the most intriguing seems to be rum baba – a small yeasty pastry with sugar pomade and raisins soaked in rum-flavored syrup. Actually, Soviet confectioners were not the first to come up with rum baba’s recipe: It’s thought the dessert originated in Poland before being further improved in France. Nevertheless, it was one of the most popular pastries in the USSR and my family still harbor fond memories of eating it. But rum baba is making a comeback in Russia, with several trendy bakeries in Moscow and St. Petersburg peddling the alcohol-infused sweets to the nostalgic public. Rum baba may not look as appetizing as a cake dripping in chocolate icing but the beauty lies in its taste. It’s not easy to make, in fact it’s insanely complicated. There are numerous steps and some tricky techniques you have to follow if you want to achieve that incredible taste. Rum baba is very similar to kulichi – traditional Russian Easter cakes – but the thing that makes it so unique is the sweet syrup with a hint of rum. So make sure you have a couple days and enough patience to master rum baba a la Russe. 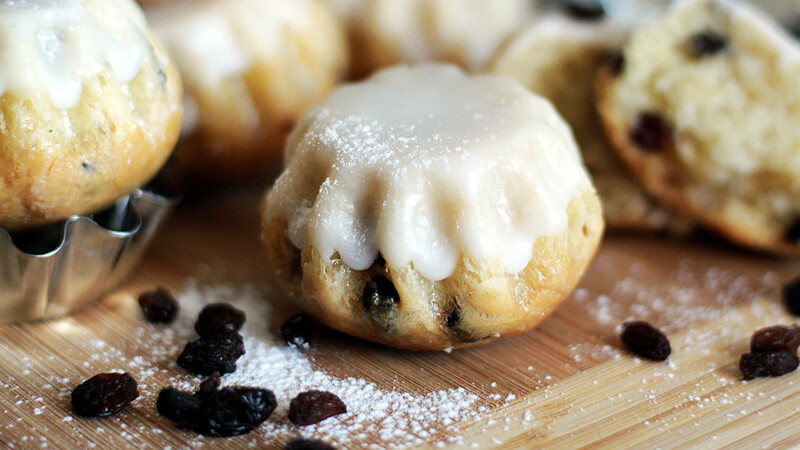 First of all, prepare the raisins for later: Cover them with some rum and set aside for a couple of hours until the raisins are plump and juicy. 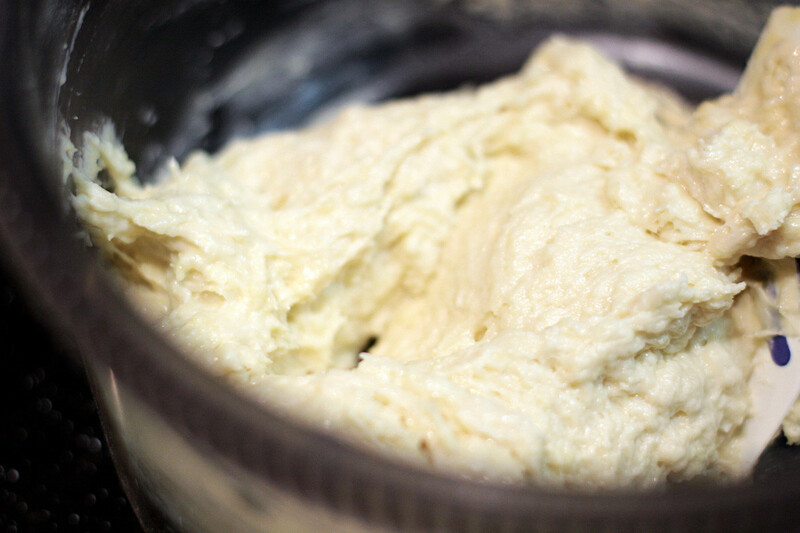 To make the dough mix the dry yeast and sugar with lukewarm water and let it sit for 10 minutes. In a large bowl sift all the flour, add the soft butter, salt, eggs, and yeast mixture and mix together. 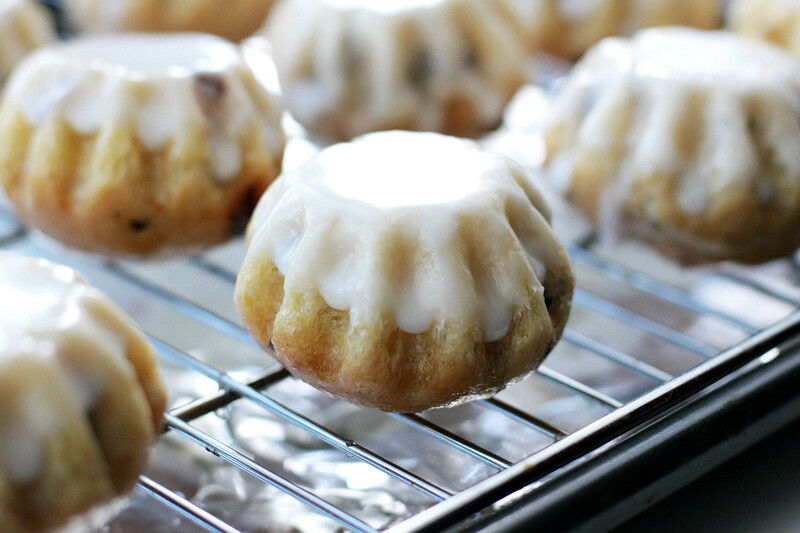 You should get quite sticky dough. The next step is the most important: You have to knead the dough until it turns soft and elastic. 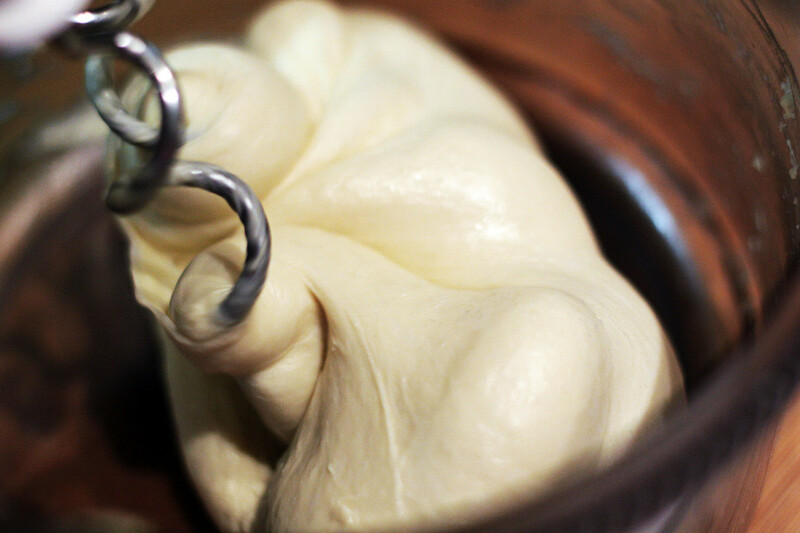 The easiest way to do it is to use a mixer with a bread-hook attachment. The kneading process takes approximately 10-15 minutes – the dough should be absolutely smooth and glossy. You can knead it with your hands as well but it takes much longer. When the dough is ready, put it in a bowl, cover with plastic wrap, and leave in a warm corner for 40-60 minutes until it noticeably increases in size. Then lightly knead it once again, add the raisins and let the dough rise for another 40 minutes. Meanwhile brush baking cups with some oil. 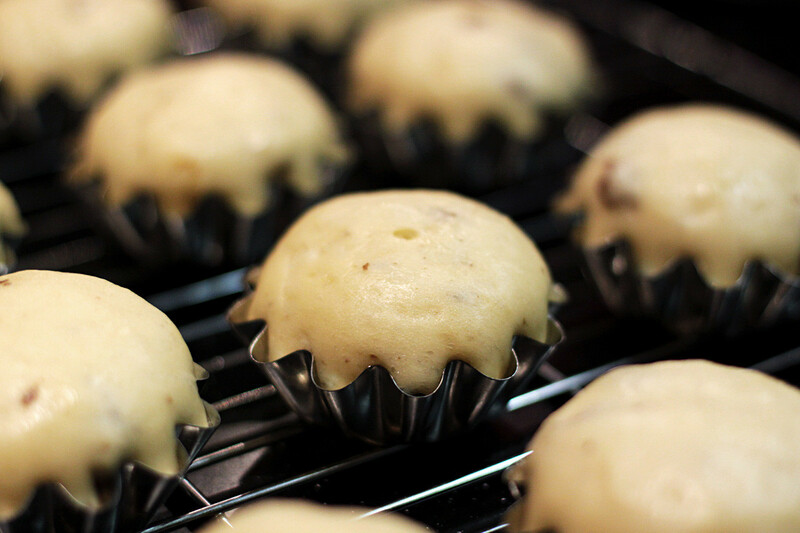 When the dough is ready, divide it into small equal size balls and place in the cups (12 balls 50g each). Finally, leave the dough to prove in cups for 20 minutes. 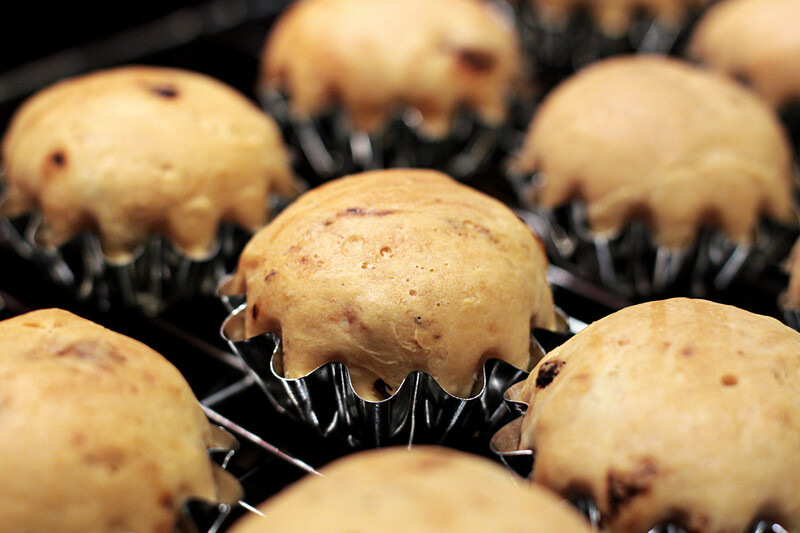 Bake your babas for 25-35 minutes at 190-200°C until they are golden-brown on top. Then take them out of the cups, turn them over, prick with a toothpick, and allow to cool completely. It is better to leave them like that overnight. 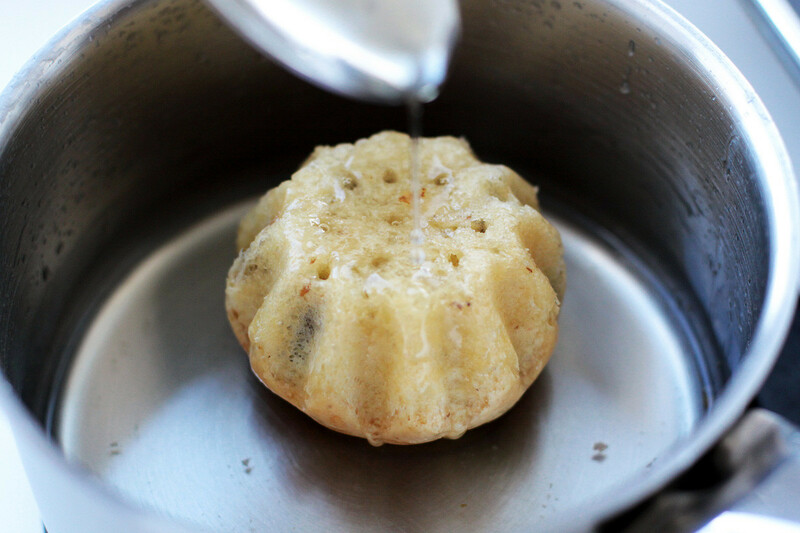 Now you can make the pomade: Mix the sugar and water in a pan, stir carefully with a wooden spoon and start heating. Bring the mixture to a boil, heat to 114-116°C and immediately transfer the pan to a larger bowl with ice cold water. Add some lemon juice and stir. 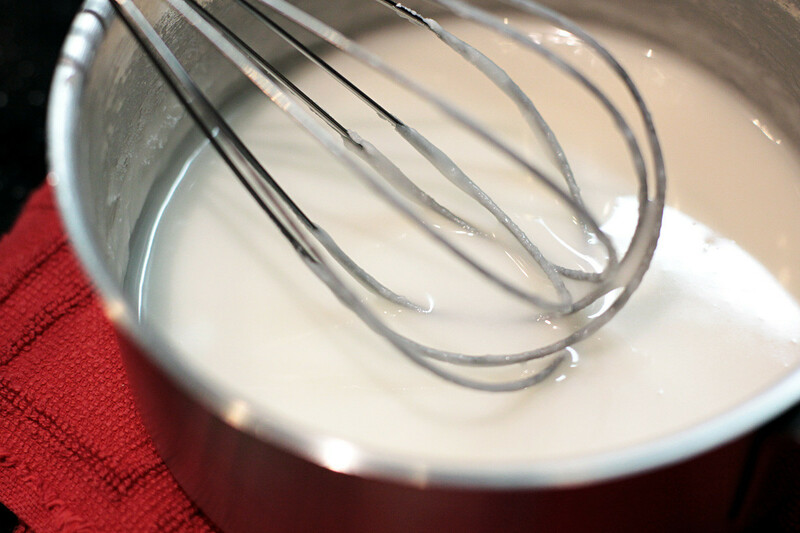 Wait until the mixture is about 40°C and whisk it until it becomes white, silky, and glossy. Be sure not to overheat it - you do not want your pomade to crystallize. I always prepare this kind of pomade in advance: It can be stored in the fridge for several weeks. Another important step is making the syrup for soaking the babas in. 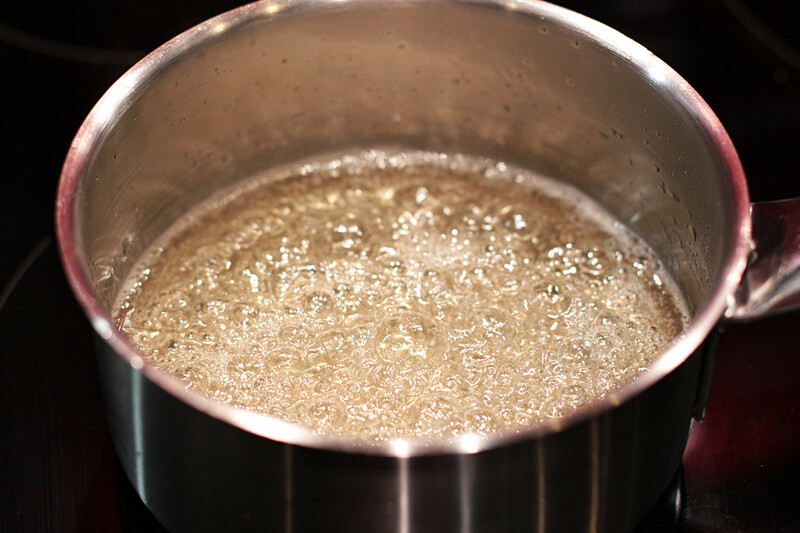 Just mix water with sugar in a pan, bring to a boil, and immediately remove from the heat. Add some rum and let the mixture cool slightly. Now all you have to do is to build the babas. Firstly, generously soak them in the rum syrup. Make sure the babas are fully covered. They should become much heavier. 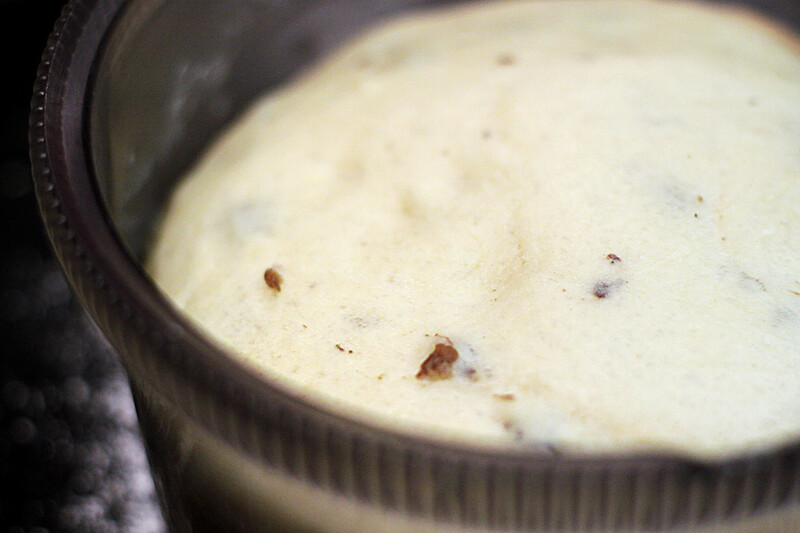 Finally, spoon some warm pomade on top of the babas and let them chill. 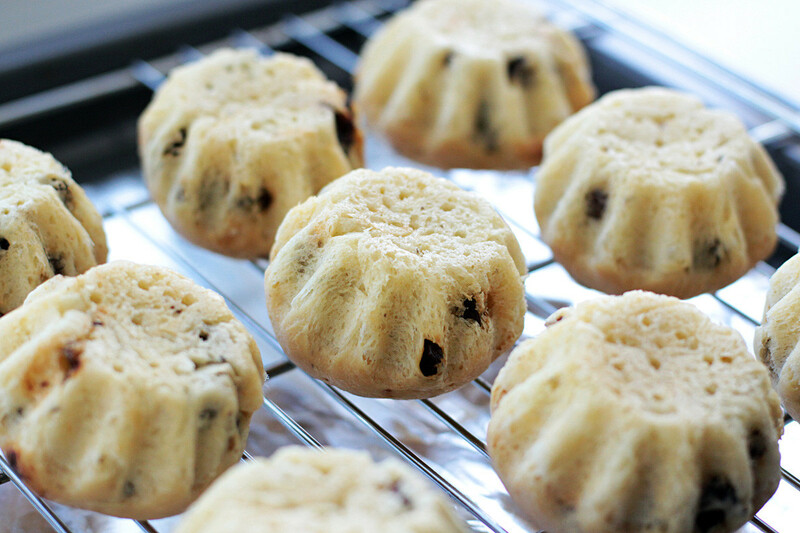 Enjoy your soft and juicy rum babas with a cup of black tea. Priyatnogo appetita!